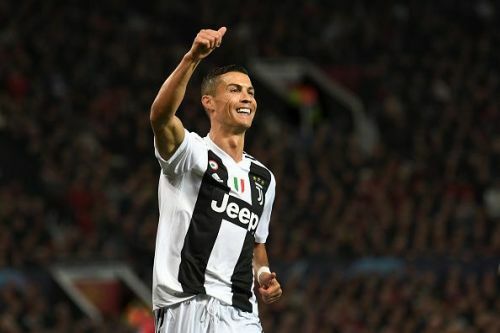 Juventus captain Giorgio Chiellini has praised Cristiano Ronaldo for his influence on the team and insisted that the 34-year-old star helps them in breaking their own limits. The defender also put forth a huge statement, affirming that the Portuguese superstar has filled in the huge void left by Gianluigi Buffon. Football fans were in awe when Cristiano Ronaldo decided to join Juventus from Real Madrid last summer. The Portuguese attacker was the Los Blancos' star man and it was almost certain that he will end his career at the Bernabeu. However, he moved to Italy for a new challenge, which he is showcasing his potential in some style. The 34-year-old has scored 19 goals in the league this campaign and helped his team go 13 points clear at the top of the Serie A table. Ronaldo also played a vital role in his side's qualification for the knock-out stages of the Champions League and will be looking forward to helping the Turin-based club lift the famous trophy for the first time since 1995-96 season. Speaking to Marca (via Goal), Giorgio Chiellini insisted that Cristiano Ronaldo has filled the void left by Gianluigi Buffon in the team. "Cristiano Ronaldo has filled the void left by Gianluigi Buffon. Because Ronaldo, aside from what he does on the pitch - and only a crazy person would question him because he scores goals and creates them - has been important for us because he has been an example on how to better ourselves." He also believes that Ronaldo helps his teammates in breaking their own limits, by acting as an example. “After many years dominating in Italy, we could assume we'd reached our maximum, but thanks to Cristiano, we are doing even more than we thought we could - searching for new limits. We have reached two Champions League finals but, in order to carry on growing, we needed the best." Juventus will play Atletico Madrid for the first leg of the Champions League round-of-16 tie later today before facing Bologna in the league on February 24.